MAY 23 - WE ARE OVERWHELMED BY THE OUTPOURING OF SUPPORT FROM OUR FAMILY, FRIENDS, AND COMMUNITY. THANK YOU FOR HELPING A CAUSE THAT WE FEEL IS SO IMPORTANT. WE WILL KEEP THIS FUNDRAISING PAGE OPEN FOR ANOTHER 2 WEEKS, THEN CLOSE IT SO THEY CAN GET TO WORK IN A COMMUNITY THAT NEEDS IT!! Our girls have been traveling on the WOW (Wonders Of Water) Journey. The girls have learned what they LOVE about water, about the science of water and how it affects our everyday lives, how much water we use, but most importantly, how and why we need to SAVE WATER!! The girls learned that it is the girls' responsibility in these communities in Africa to find water for their families, which is often dirty and disease-filled water, and found out that girls are often not able to go to school because fetching water takes hours a day. This was their inspiration to start their own Water Project. Their goal is to have a well built in a community so girls can go to school and have fun with their friends just like they do!! Find out more about the water crisis on this website and consider making a donation to help our girls MAKE THE WORLD A BETTER PLACE!! 06/29/14 Melissa DiMartino $10.00 Madison raised $10! 06/29/14 Melissa DiMartino $29.67 Raised by Morgan! 05/23/14 Meghan O'Leary-Henry $23.00 Mommy and Daddy are so proud of all the work youv'e done!! 05/21/14 Nicole Buckley $10.00 Go Ava and Bella!!!! 05/21/14 Melissa DiMartino $190.00 YARD SALE PROCEEDS - SAVE WATER PROJECT!! GREAT JOB GIRLS!! 05/19/14 Jeffery Schipper $46.00 Proud of you for giving the gift of life. 05/19/14 Melissa DiMartino $48.00 So proud of you girls! Yay for troop 158! 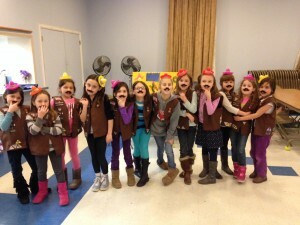 05/15/14 Elizabeth O'Bryan $23.00 Great job Brownie Troop 158! 05/13/14 Sandy Walters $23.00 Good luck girls! !